Eco friendly mesh has been introduced to the market in recent times. This fabric mesh retains the same centres as standard fabric mesh with the exception of the external overhangs which change from 100mm to approximately 200mm. 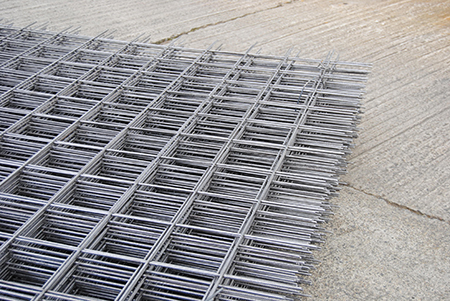 Eco mesh may be used in lieu of standard mesh for most applications.